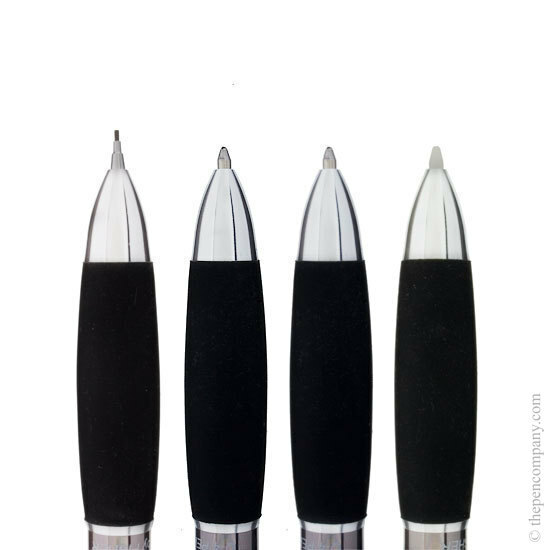 The Fisher Q4 multifunction space pen houses two ball pens, 0.7mm propelling pencil and a stylus in an attractive gun metal barrel. 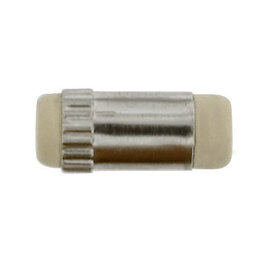 The function of the Q4 is simply selected with the push button, an eraser is handily concealed under the cap. 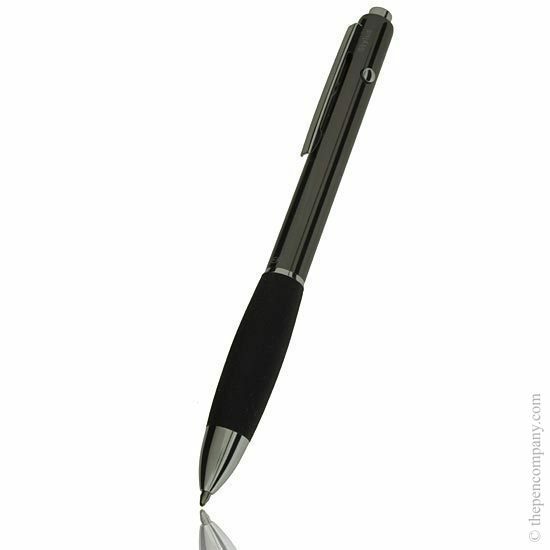 The stylus is intended for use with touch screen computing devices. N.B. 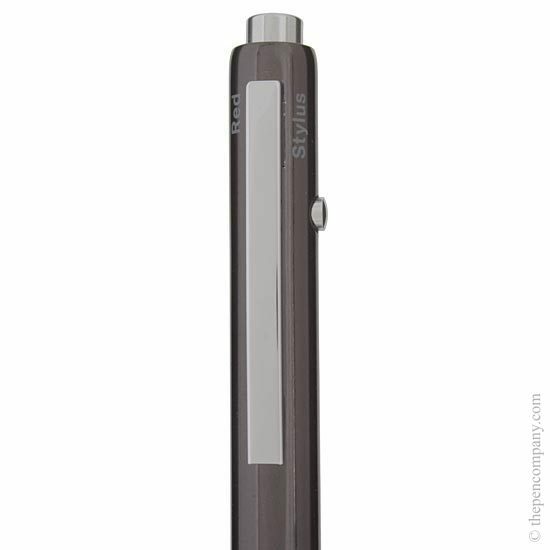 Stylus works with older resistive touch screens not multi-touch screens found on tablets / smartphones. 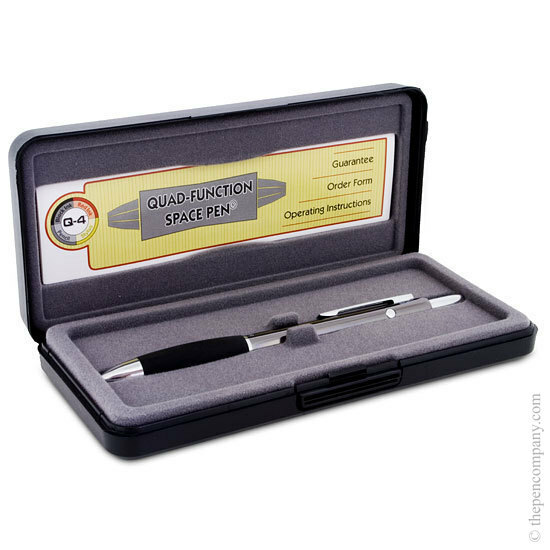 The Q4 benefits Fisher's pressurised space pen refill technology giving smooth reliable writing at any angle. Birthday present for my husband. He has not moaned about it so must be happy with it!